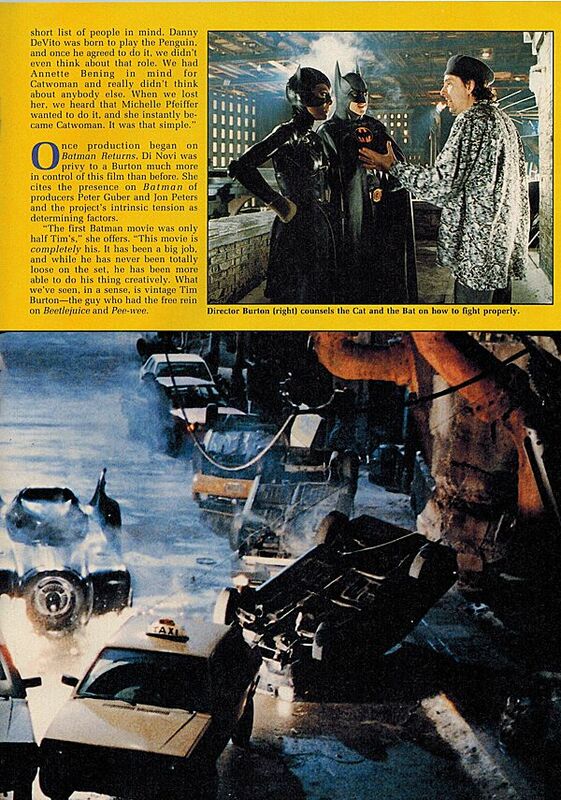 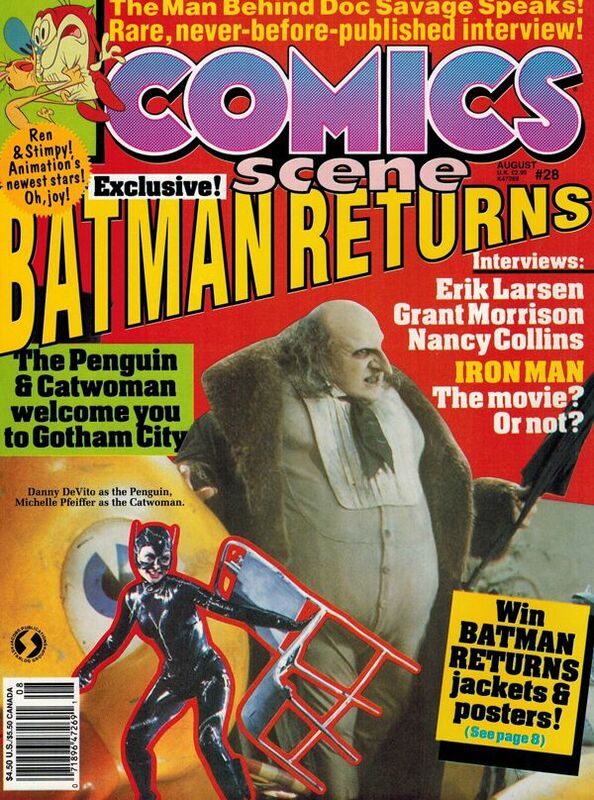 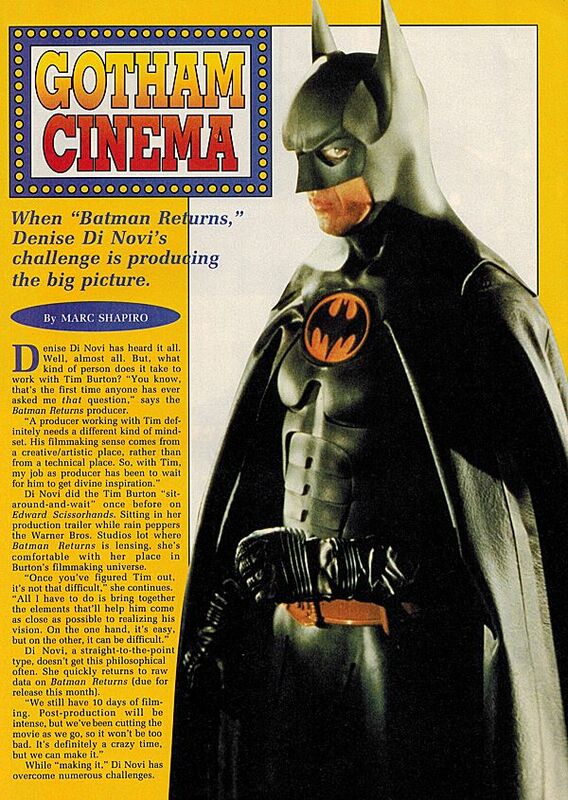 In issue #28 of Comics Scene Magazine, producer Denise Di Novi reveals quite a few tidbits about her first foray into the Bat-film franchise- Batman Returns. 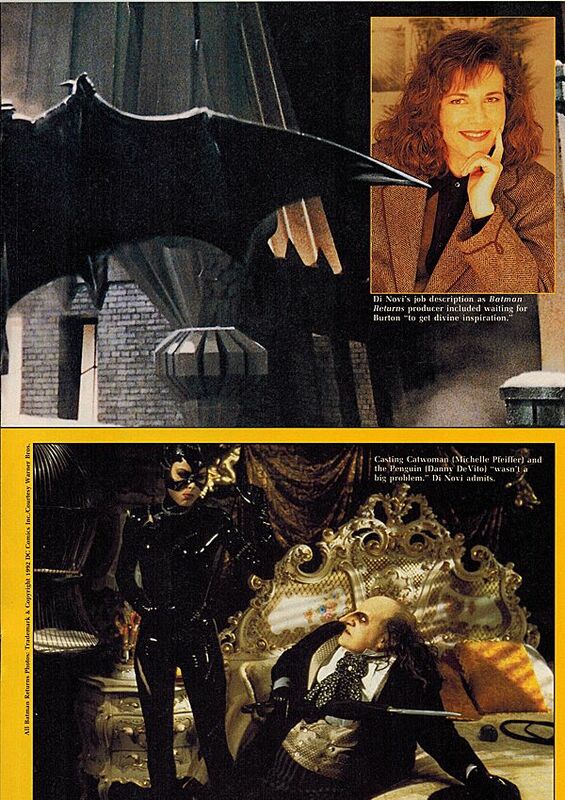 What was it like working with Burton? 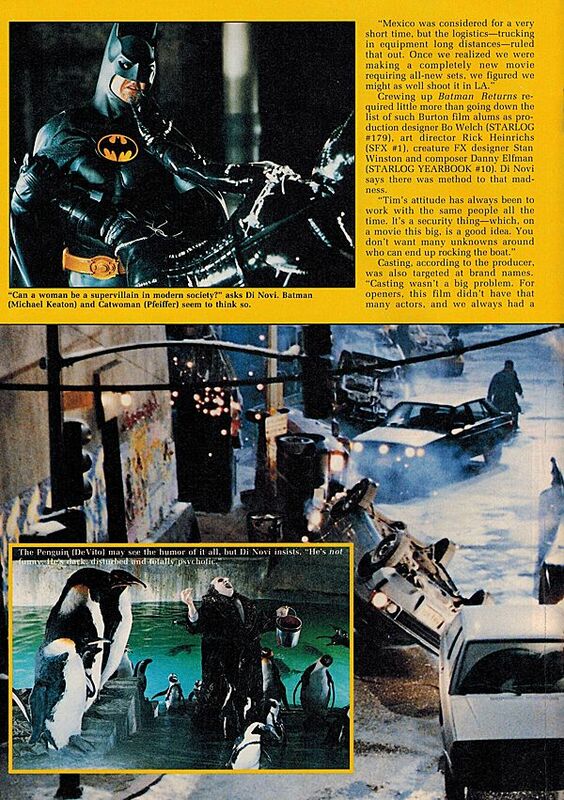 Why was production moved away from London for this second film? 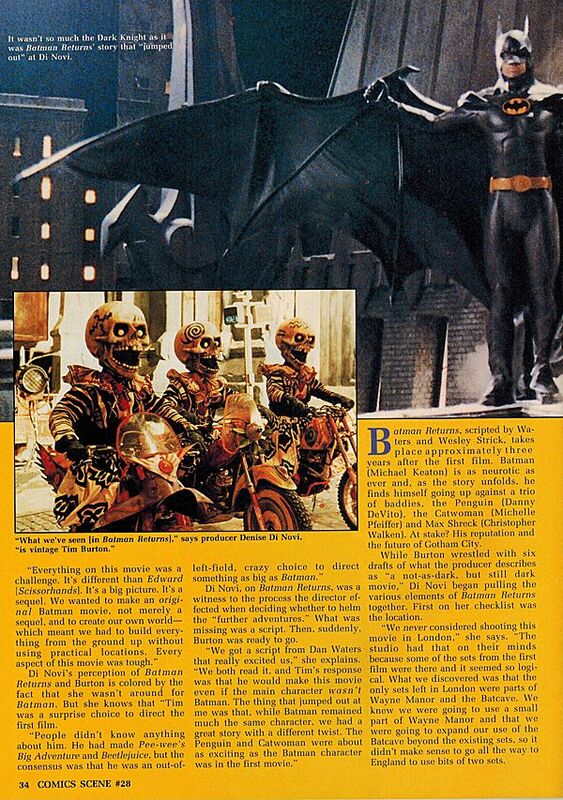 What was Keaton's attitude towards suiting up again? 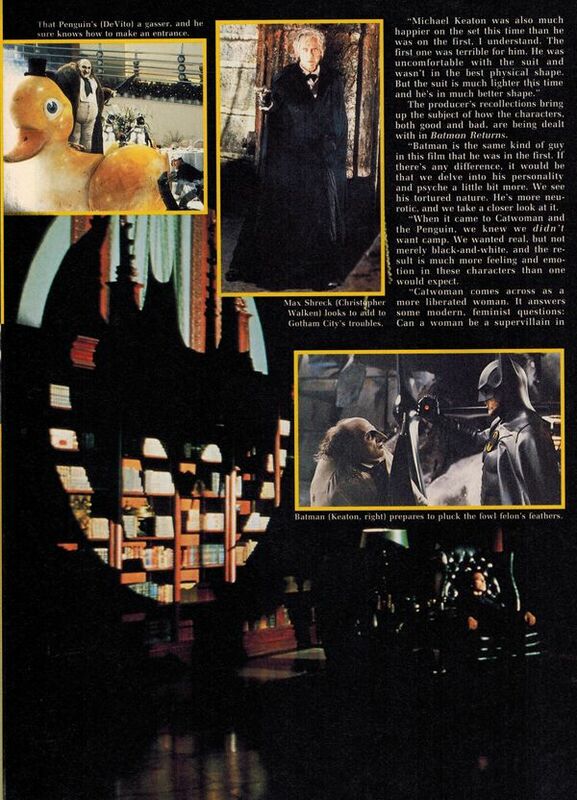 All these questions and more are answered here!